AEC-ST Virtual is live today from 12 noon (EST)! Register for free here! 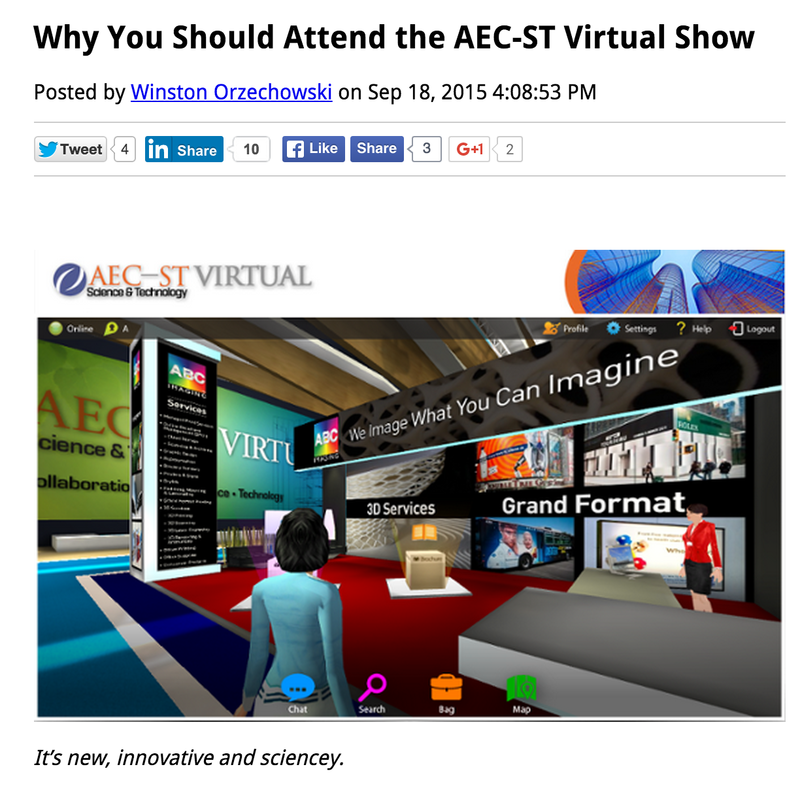 To read the article on ABC Imaging’s blog click here: “Why You Should Attend the AEC-ST Virtual Show” Enjoy! If you have any questions ask us in chat on our website.